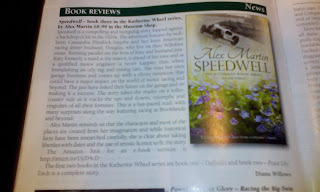 I'm thrilled with this review of Speedwell, now published in the Brooklands Bulletin Magazine and written by its editor, Diana Willows. Diana has been incredibly supportive after I met her at Brooklands on a research trip a year ago this month. 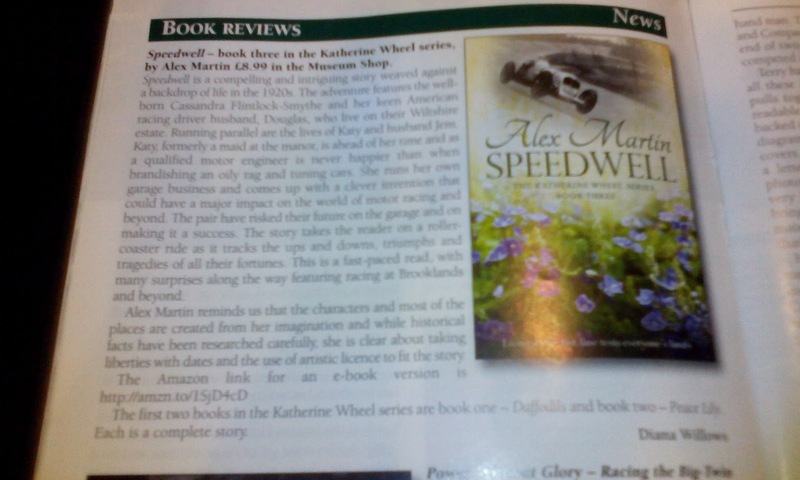 As she drove us around the racing track, with me hanging on for dear life as we negotiated the really steep curving bank, she asked me why I was there and I told her all about the third book in the Katherine Wheel trilogy. She's since read the book and here's the photos of her review and magazine. Alex Martin £8.99 in the Museum Shop. is never happier than when brandishing an oily rag and tuning cars. 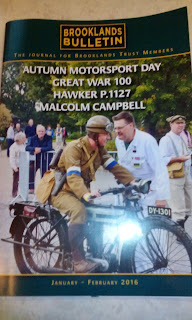 along the way featuring racing at Brooklands and beyond. dates and the use of artistic licence to fit the story. 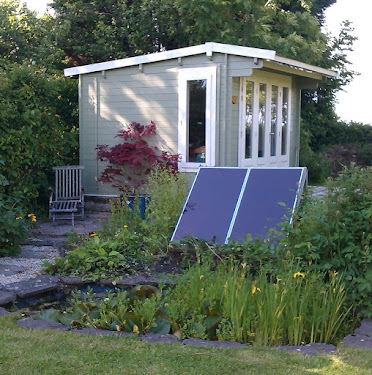 The first two books in the Katherine Wheel series are book one – Daffodils and book two – Peace Lily. Each is a complete story.